Reminders For CowbellPedia Competition 2018!!! 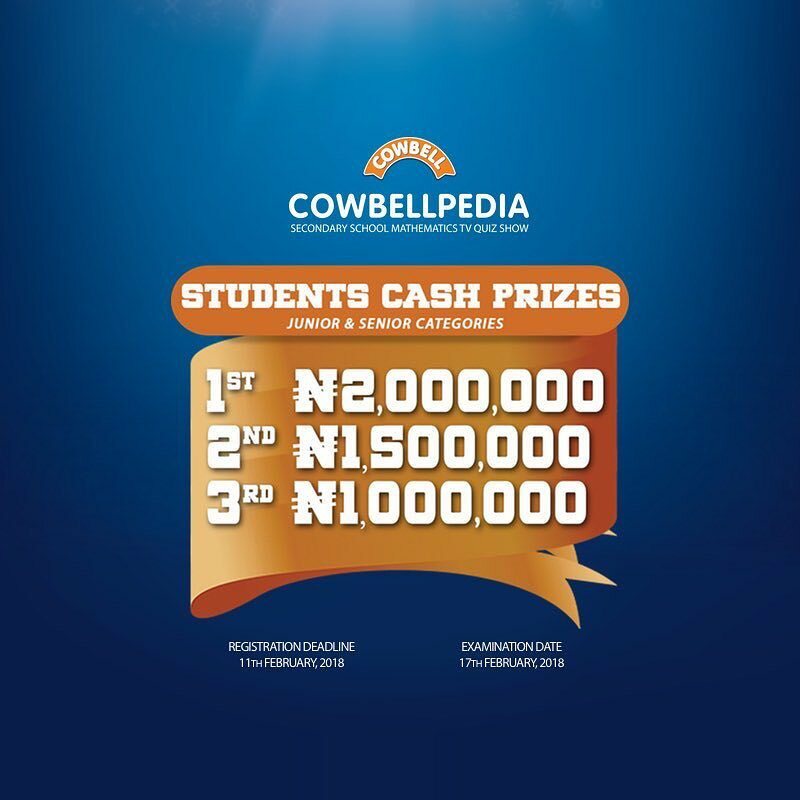 The first stage qualifying exam for the 2018 #Cowbellpedia competitions comes up on Saturday, 17th February 2018. Registration for this year's competition is STRICTLY ONLINE and closes on 11th February 2018.